We had an engaging Main Speaker today, Bradley Frick sharing “Constitution 230”. 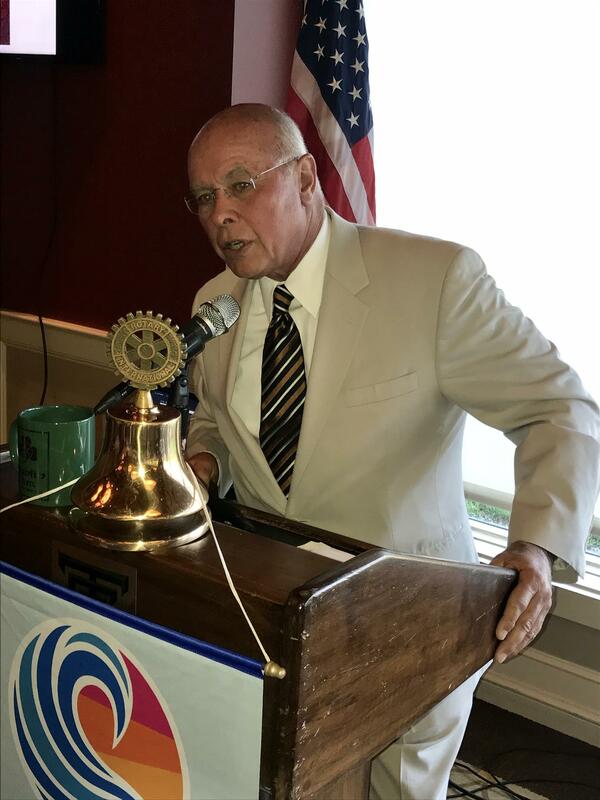 Bob Rosenberg was recognized “Rotarian of the Year” in this 20th year of his membership and some of his contributions were announced. Best wishes also to Bob and Irene for their 46th wedding anniversary this weekend. We had visitors from Taiwan Rotary 3461 and 3462. Sharon Kendall and The GSE Taiwan Director introduced the students and professionals visiting the area and reviewed some of the highlights of their trip. If you did serve for an organization in the past please sign into your account OR enter your username, click on the Forgot Your Password? link. Note: if you forgot your username, the group leader will have access to that information. Please DO NOT create a new account if you have served in the past • A new page will open, reenter your username in the space provided and click Continue • An email will be sent to your e-mail account prompting you to reset your password. Follow the instructions provided in the email and choose a password that you can remember for the rest of the season! If you did not serve for an organization in the past please click the Create New Account. Wolf talked about our exchange student and her upcoming arrival August 8th and a possible Perfect Party around August 11th. Cindy has graciously volunteered if no other hosts anxiously steps in. Dwight won the big pot and donated $1,000 to the veteran’s committee fund. Brad is an attorney, proud graduate of The Ohio State University and Notre Dame Law School and fellow Rotarian member in the Upper Arlington club. Would the Constitution pass today?